Intro to Barbershop: Fuel for your barbershop fire! So you show up at barbershop chorus rehearsal, and someone hands you a folder full of music. “Let’s get started,” says the director, looking sharp in their polo with the Barbershop Harmony Society emblem over the heart. “Pitch, please.” A reedy B-flat is sounded, and off you go. Where did all that barbershop stuff come from? 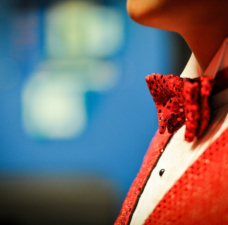 The music, the clothes, the pitch pipe -- where? Like any sport, the barbershop world has its own universe of tools, materials, and gear that help you get the most from your barbershop lifestyle. One might start golfing with borrowed or rented clubs, and once you adopt the sport, you’ll probably outfit yourself with more than just a fresh box of golf balls. 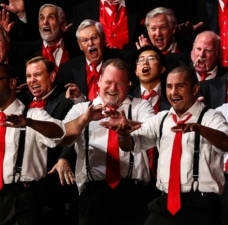 So too in barbershop: you might learn the first few songs by ear or from the chorus library, but as you grow, you’ll seek more music, more education materials, and more ways to wear your barbershop heart on your chest. The easiest place to find a huge selection of these items is at the Harmony Marketplace, where your membership gets you a 25% discount -- a great benefit of your membership. Barbershop recordings are a quick way to tune your ear to the distinctive sound of the genre, and to understand the “state of the art” from the best performers. The Marketplace features recordings of many award-winning quartets and choruses. Many quartets on tour will sell their CDs at chapter shows, and a handful are available on iTunes and other digital download services. Further, many arrangers and learning track producers sell directly to the barbershop world. Profits from merchandise sales support Society programs. 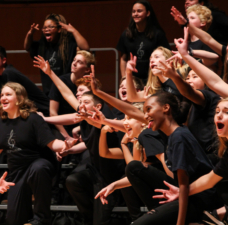 But more importantly, the Marketplace provides access to legal, copyright-cleared sheet music and learning tracks that make it possible for us to sing old classics and cutting-edge new music. It helps make global and permanent the sound of barbershop on recordings. 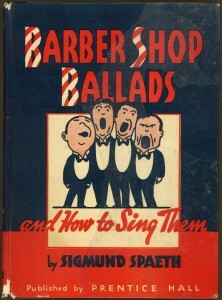 Barbershop instruction books and videos extend education resources worldwide. 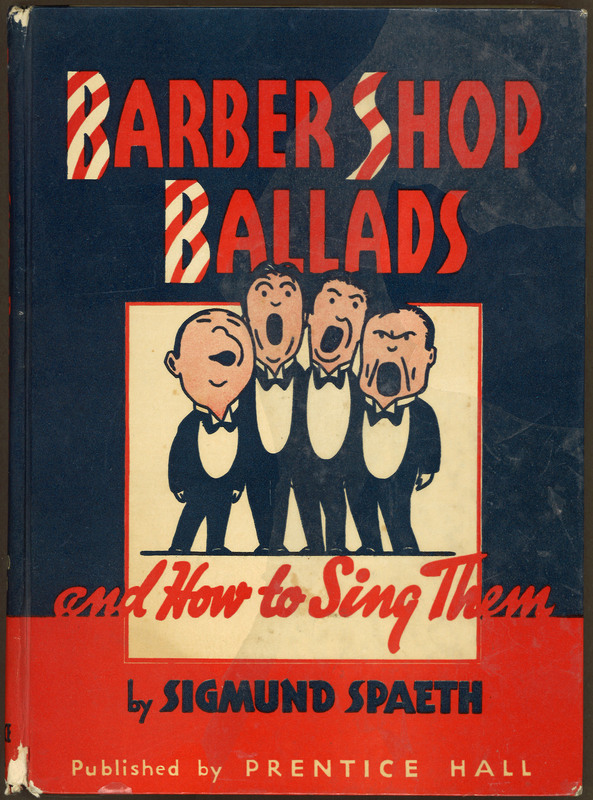 As early as 1941, the newly founded Society for the Preservation and Encouragement of Barber Shop Quartet Singing in America (SPEBSQSA) was making printed music available to members, and for decades, each issue of The Harmonizer included a new arrangement. All new titles also offer learning tracks, which drastically speed up the process of memorizing new repertoire for quartets and choruses. Part-predominant learning tracks place a single voice part in one channel, and the other three parts in the opposite channel, so you can quickly hear your part in isolation and as it blends with the other voices. Put those commuting hours in the car to productive use, and draw some puzzled stares in traffic jams. Learning tracks are also a great way to learn the Barberpole Cat I (which you should have received in your new member welcome packet) and Barberpole Cat Volume II universal repertoire, or material for Harmony Brigade events. While profitable, the publishing business also serves important legal and marketing purposes. Music purchased from the Barbershop Harmony Society is properly licensed from copyright holders. In fact, all music sung in official BHS contests must be legally obtained, so our large catalog is an important resource for competitors. 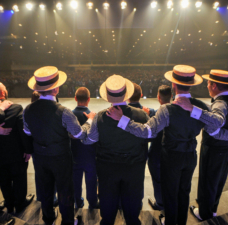 Moreover, BHS has a global distribution partnership with Hal Leonard making barbershop music accessible worldwide, an important part of our outreach efforts outside North America. 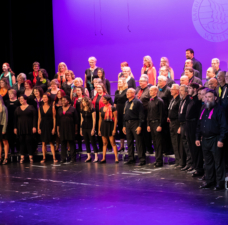 The expansion of our catalog to include voicings for mixed and women’s voices also makes our partnership with Hal Leonard an important means of reaching the education market, which is hungry for vocal harmony and a cappella music. 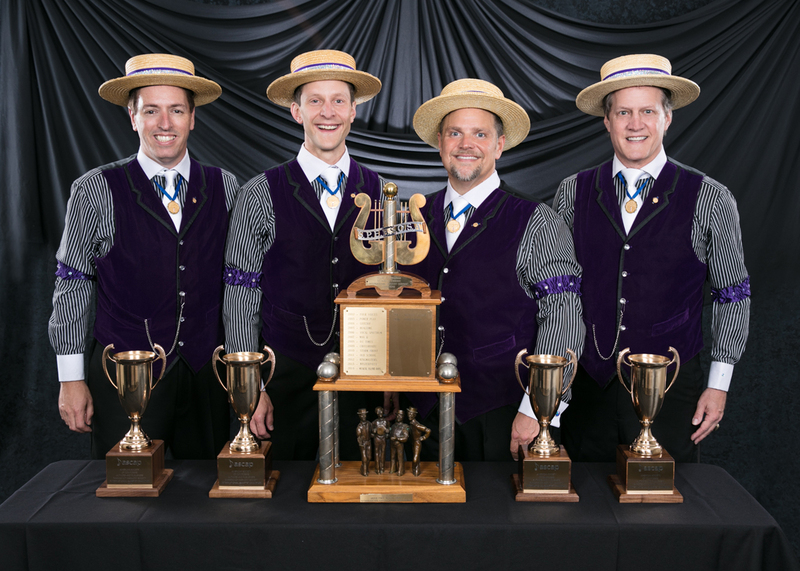 If you’ve checked out our YouTube channel, you’ve undoubtedly found some jaw-dropping performances from award-winning barbershop quartets and choruses. Giving barbershop recordings is a great way to share the magic of barbershop with family and friends. Many people have drawers full of tee shirts proclaiming devotion to a team, a cause, a school. Why not barbershop it up? If you can put a logo on it, the Harmony Marketplace has it, from tee shirts to polos and Oxfords to outerwear. 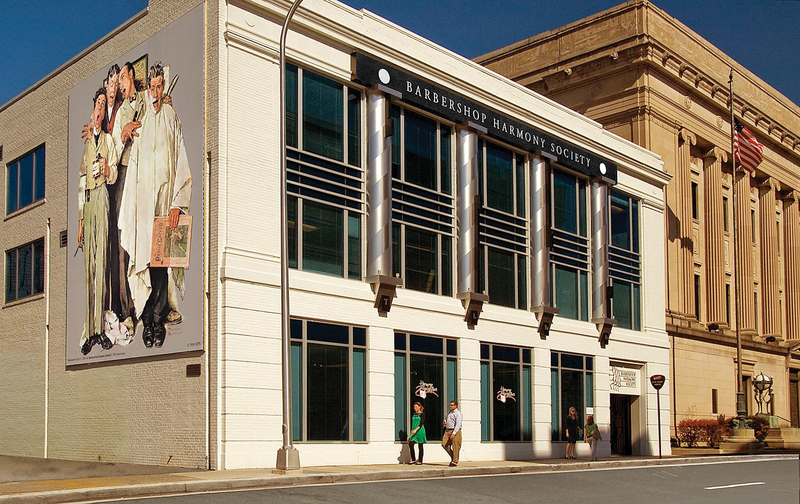 The Harmony Marketplace helps elevate artistic and leadership skills throughout the barbershop world. Whether you want to sing better, run your chapter more effectively, or direct a chorus, there are books, guides and/or audio/video recordings to help you along the path. Outfit yourself, your car, your office with cool stuff that proclaims your love of harmony. Our Marketplace team usually ships orders within 24 hours. And be sure to join us at Midwinter and International conventions, where we bust out new music, new merchandise, and event-themed items. And look for Marketplaces hosted at some District conventions, too.